Weston conducts inspection and repairs to prevent potential for fuel released into the waters at Pearl Harbor Naval Complex. The bulk fuel storage facilities at Pearl Harbor Naval Complex were built in 1925. They were field constructed using riveted steel panels—a structural composition not commonly found today where tanks are fabricated by welding steel panels. The Fleet and Industrial Supply Center (FISC) was concerned about the structural integrity of the tanks because of the age of construction and the corrosive salt air. If the tanks are not inspected and repaired, it could lead to catastrophic spills or potential release of fuel to the environment and impact to groundwater resources, the primary source of potable waters in the Hawaiian Islands (Oahu). Weston’s primary objective was to clean, inspect and repair Tanks 46 and 53, in accordance with API 653 and STI standards and to replace the fuel system piping. Tanks 46 and 53 are located at the Naval Supply Systems Command Fleet Logistics Center Upper Tank Farm at Joint Base Pearl Harbor-Hickam, which serves as a transfer station connecting Red Hill Storage, dockside issue and receipt, and Hickam Air Force Base. Inspection of the tanks revealed the need for a number of repairs required to bring them into compliance with the latest specifications. Additionally, a new coating system was applied to the interior and exterior of the tanks to prevent corrosion from attacking the tank integrity. 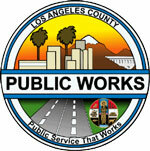 Weston replaced existing and installed new pipeline and valves from Tank 46 to the JP-8 pump house. This new pipeline made it possible to independently service Tanks 46 and 53 simultaneously without any interruptions. Mechanical repairs to Tank 53 included replacement of the bidirectional fill and issue piping and structural repair of the center support column holding up the roof. During inspection, the center column was noted to have been incorrectly patched together at the bearing plate on the floor of the tank as well as at the structural components that connected the center column to the roof plate. While the tank was out of service, additional repairs were completed to bring the tank up to current specifications, to include two new roof vents, an additional stilling well to allow manual tank gauging, and one 8-inch flange nozzle for the Automatic Tank Gauge at the roof. Tank 53 repairs also included a new coating system for the roof underside and support structure and interior shell coating repairs. Mechanical repairs to Tank 46 were more extensive and comprised repair of rivet heads on exterior shell, shell deformation repairs on the upper part of the tank, repair of corroded areas on the roof, and repair in-place the disintegrated center column. The roof of the tank was repaired by installing 139 patch plates on the fixed roof where corrosion had compromised the steel roof. Coating repairs to Tank 46 were the recoating of entire exterior roof, the entire interior shell and support column coating system, the underside of the roof plates and roof support structure, spot repair of exterior surfaces and tank floor, and active corrosion on Aqueous Film-Forming Foam lines. By staffing the project with personnel from our Hawaii office and local small businesses, Weston saved the government money in travel costs over the 5-year life of the project. 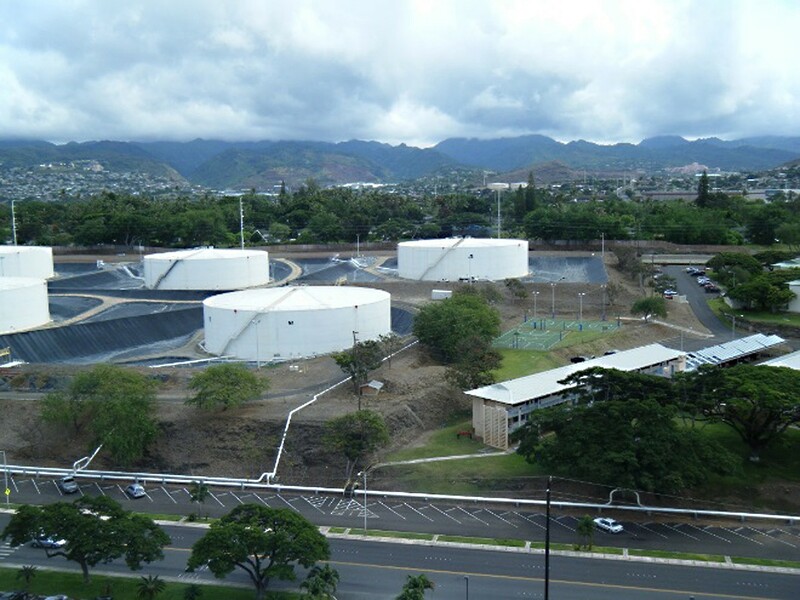 Also, when a return to service certification at project completion is issued, FISC has assurance that the tanks are in competent structural condition and will not cause a release of fuel to the environment impacting drinking water in Oahu, HI.